New Eighth Edition – comes with two cruise locator maps! This international bestseller is the complete guide for anyone taking a cruise or cruisetour to Alaska. 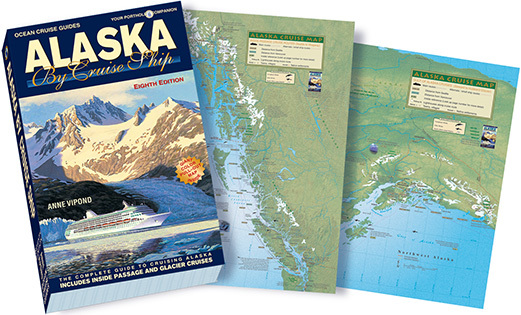 From Seattle and Vancouver to Fairbanks and beyond, Alaska By Cruise Ship provides readers with solid detail for this popular cruise destination. Interesting and historical background on the cruise routes complements practical detail on ports and shore excursions with numerous maps pinpointing attractions. All areas of interest on an Alaska cruise are included such as history, wildlife, native culture, natural phenomena and much more. 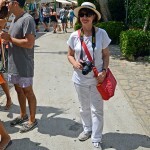 New edition includes best hiking trails in each port and updates on all shore excursions. Comes with two large (16 by 19 inches) color pull-out maps. Ranked as one of the top travel bestsellers in USA by Ingram Books, largest wholesaler in North America.